Winning the hearts and loyalty of our young neighbors is important for our long-term success! This note from an 11-year old neighbor warmed our hearts. The PETCENTRIC NEIGHBORHOOD adoption events and fun shopping experience keeps Jake craving Pet Supplies Plus! Hi! My name is Jake Deluca and I am an 11 year old boy who goes to William Woodruff School in Berkeley Heights, New Jersey. Pet Supplies Plus is my favorite store to buy my cat’s food, cat litter, and toys. Whenever my mom says I have to get cat litter, I jump right in the car. Whenever I am at Pet Supplies Plus, I am either looking at the pets or asking my mom to buy me a pet for me. I have a Pet Supplies Plus near my mom. I go to it all the time. The prices are really reasonable that’s why I go there. 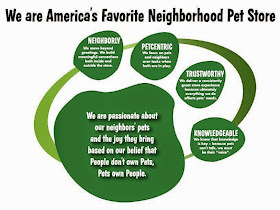 I also know a lot of people who go to Pet Supplies Plus. I love when the store does adoption day on Sunday. When we go to adoption day, I ask my mom if I can adopt another animal. But she says no, we already have two cats. Pet Supplies Plus is awesome.